Cats are fascinating animals and the world is certainly not short on cat-themed mysteries but one thing is unanimously agreed on by all who have even the slightest fondness for our feline friends: cats love boxes. Any size box, any size cat, it doesn't matter. They were probably even made for each other, they go hand in hand. 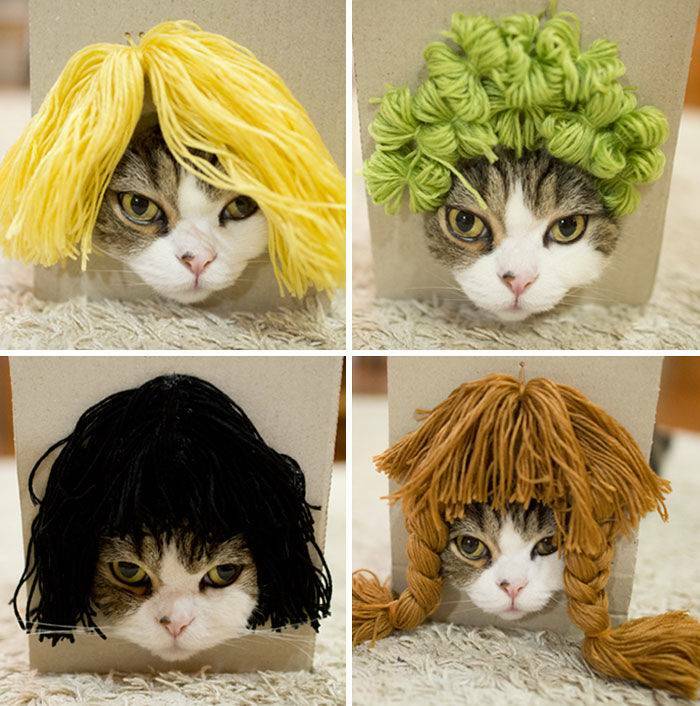 When 9-year-old Maru, an adorable Scottish-fold cat, found his way into small boxes displaying his owner's wigs, it was the perfect scenario. Maru's owner thought making this adorable and hilarious video would be easy and fun, I'm sure no one had any idea just how perfectly the whole thing would play out! 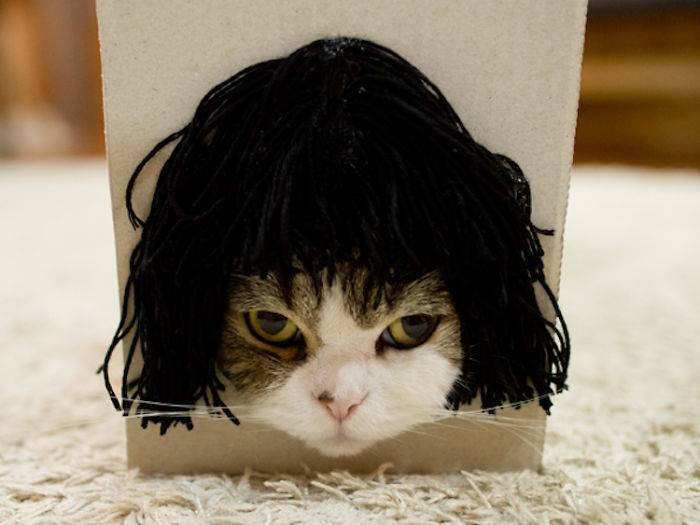 Maru's owner sets up tiny boxes that Maru naturally squeezes into and unwittingly pops his little face into the perfect spot to appear to be wearing hilarious wigs. 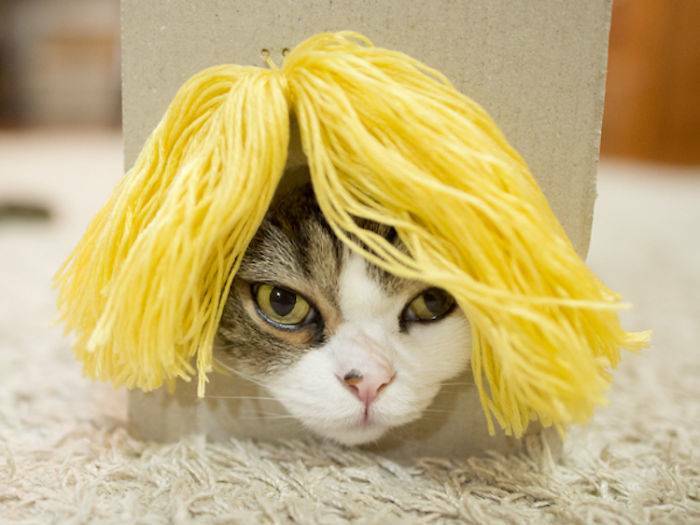 Maru is one special cat, he's the "most-watched" animal on YouTube, with over 500k subscribers, and it turns out he was born to model wigs. This black bob-looking wig reminds us of Katy Perry. 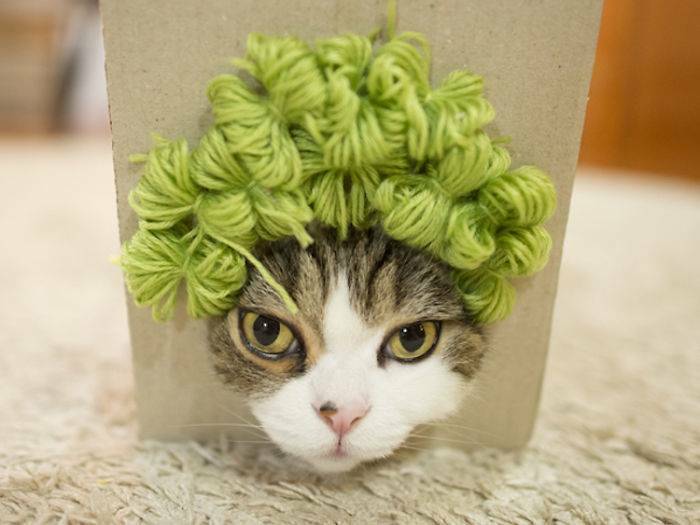 Maru is looking sassy in this spunky, green wig. 3. 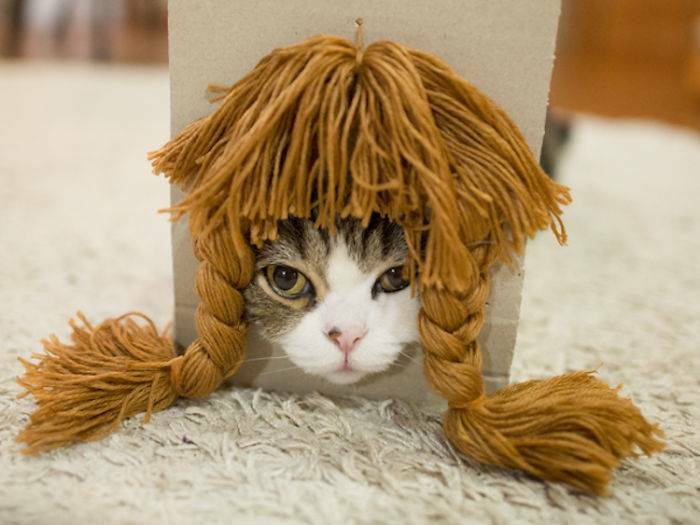 They're not pigtails if they're cat tails. At least, that's what we'll call them on Maru. 5. Many fabulous faces of Maru. The pictures are great, of course, but nothing beats the full-length video. Purr-fect for your enjoyment!